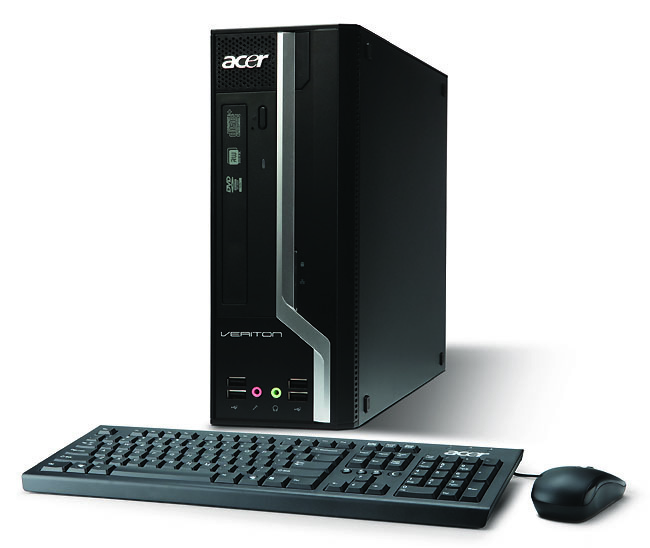 Computer maker Acer has refreshed its line of Veriton mini-desktops aimed primarily at customers like businesses, institutions, and schools. Housed in space-saving cases designed to work well in small work areas, the new designs offer plenty of horsepower via Intel Core CPUs, or an AMD Athlon processors with Nvidia graphics to keep things snappy. The Acer Veriton L4610G features a black-and-silver design that’s just 9.8 inches deep, 7.6 inches high, and 2.4-inches wide. Two models will be available, featuring either Intel’ Core i3 or Core i5 processors running at 3.1 GHz or 2.5 GHz, respectively. Both L4610G units use Intel HD graphics, 2 GB of RAM, and feature 320 GB hard disk drives along with a mini PCI Express 1.1 slot for expansion. Meanwhile, the Veriton X2110 desktops stretch out a little in size—they’re 15.6 inches deep, 10.5 inches high, and 4 inches across—but sport an AMD Athlon processor running at 3.3 GHz, 4 GB of RAM (expandable to 8 GB), and Nvidia GeForce 6150 SE graphics with DVI and video output. The X2110s sport 500 GB hard drives and have a whopping eight USB 2.0 ports for connecting to storage devices, printers, and other peripherals—and there are free PCI Express 2.0 ×16 and PCI Express 1.1 ×1 slots for additional expansion—think “additional video card” for that first one. Both new Veriton system sport 802.11b/g Wi-Fi and a SuperMulti DVD burner, and come with Windows 7 Professional 32-bit and 64-bit dual load pre-installed. 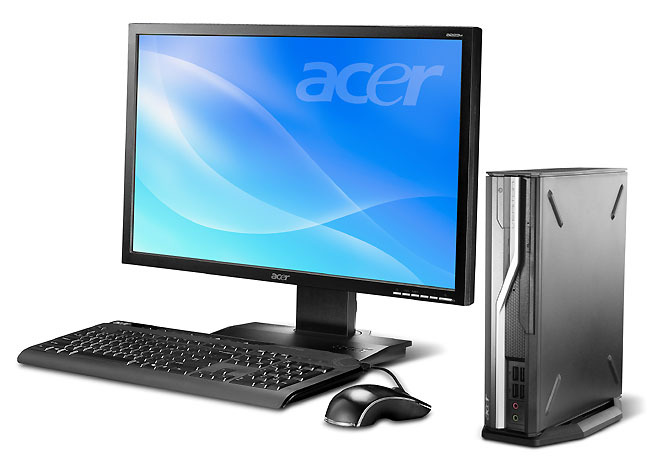 The systems also feature a suit of Acer security and data recovery software, including software to handle burning factory default disc images, automatic backups, and migrating from a previous PC. The new Veritons should be available now from Acer resellers; the Veriton L4610Gs start at $599 and the Veriton X2110 series starts at $379.